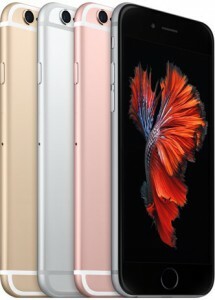 Unshackled is offering a 29-month plan on the iPhone, with a guaranteed trade-in value after 24 months. 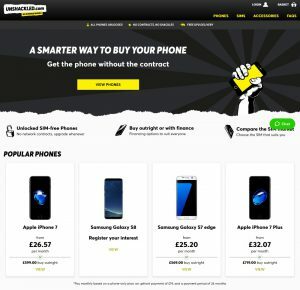 Unshackled is a UK website allowing you to buy your mobile phone and SIM card on separate agreements. Rather than having a single 24-month contract for both your handset and airtime, the website instead makes it easy for you to buy an unbundled deal. Here, you’ll have a separate agreement for your handset and airtime, allowing you to save money overall. You can also change your handset independently from your mobile network and tariff. Unshackled’s latest innovation is something called the “29 month plan”, which works in a very similar way to the “personal contract plans” often used when buying a new car. The 29 month plan gives lower monthly payments, and promises a guaranteed trade-in value after 24 months (subject to fair wear and tear). Customers can take advantage of this to trade-in their iPhone for a newer model after 24 months. Alternatively, you can continue paying for a further 5 months if you’d like to keep the handset. The “29-month plan” is a new type of unbundled deal, being offered by Unshackled in the UK as a new way to buy the iPhone 7 and iPhone 7 Plus. With an unbundled deal, you pay for your handset and SIM card on separate agreements. Historically, most smartphones in the UK have been purchased on a 24-month contract. With a 24-month contract from the major mobile networks, it’s possible to get the latest device for a reduced upfront price. For instance, the latest iPhone (which is worth around £599) will often be offered for about £50 upfront on a contract. In exchange, your mobile network will make up this cost by charging you higher monthly line rental for the next 24 months. There are numerous disadvantage to getting a bundled 24-month contract. For instance, you’ll often pay hidden APRs of around 30% and you’ll lose lots of flexibility to change mobile network or handset (there are punitive exit fees for changing either one in the first 24 months). There’s also little transparency as to how much your handset and airtime are really costing, as the two things are bundled together into one price. The premise of an “unbundled deal” is having separate agreements to pay for your handset and airtime. As a result, there’s greater transparency about how much each one is really costing, and the overall cost will often be less. 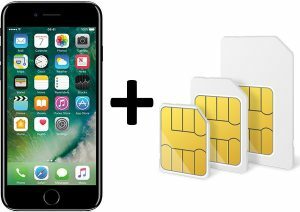 There’s also greater flexibility to change your handset or mobile network, as you’re now able to do this independently of each other. 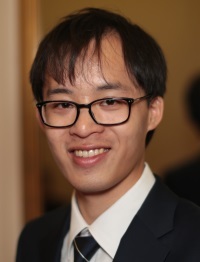 At present, numerous companies provide unbundled deals in the UK: from the mobile networks themselves including giffgaff and O2, to independent retailers such as Unshackled. Until now, most of these providers have allowed you to pay for your handset over 24 months, aligning with the length of a traditional Pay Monthly contract. Unshackled’s new “29 month plan” is a step away from this, providing some long-awaited innovation in the area of unbundled mobile phone deals. 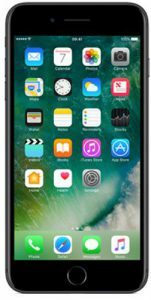 The plan takes some aspects of the personal contract plans (PCPs) that are popular in the automotive industry, and is currently available for consumers buying the iPhone 7 and iPhone 7 Plus. With a normal 24-month plan, the cost of a handset is split up into 24 equal monthly payments. For instance, the iPhone 7 has an upfront price of £599. If you were to pay for the handset over 24 months, Unshackled would charge you £26.57/month on their standard 24-month plan (assuming an interest rate of 9.7% APR and an upfront payment of £19). With the 29-month plan, the cost of the handset is instead split up into 29 equal monthly payments. This brings the monthly price down to £22.40/month (saving you £4.17 per month compared to the 24-month plan). Once you reach month 24, you’ll be able to trade-in the handset and the remainder of the plan will be paid off using the guaranteed trade-in value. Alternatively, you can continue paying for another 5 months and the handset will then be yours to keep. * The Pay Monthly price assumes an interest rate of 9.7% APR and an upfront payment of £19. You can reduce the monthly payment by increasing the upfront payment. Prices correct as of the 11th April 2017. You’ll get a guaranteed price for your iPhone after 24 months. Option 1: You can trade-in your phone for a guaranteed value. This guaranteed trade-in value is subject to fair wear and tear. It will cover the remainder of the balance on your plan, and will give you a little bit extra to cover the upfront cost of your next handset. * Guaranteed trade-in value after 24 months. Prices correct as of the 11th April 2017. Option 2: You can continue with the monthly payments for another 5 months. After 5 additional monthly payments (so after 29 months in total), you would have paid off the full balance on your plan. The handset would then be yours to keep. Alternatively, you can always decide to pay off the balance of your plan in cash. This could be a better option if you’d get a higher price for your handset elsewhere (e.g. by recycling it or selling it on eBay). Unshackled’s 29-month plan is currently available on the iPhone 7 and iPhone 7 Plus. While it’s possible to buy other handsets from Unshackled like the Galaxy S7, Moto G5, Huawei P10 and iPhone SE, these handsets are not currently available on the 29-month plan. For more information, please read our full review of Unshackled. Alternatively, you can see the Unshackled website.